Racking Tube - Stainless Steel - 3/8 in. x 26 in. 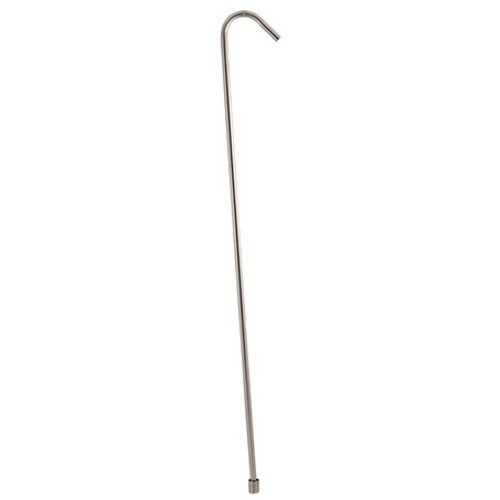 Stainless Steel racking cane - 3/8 inch OD x 26 inches long from tip to bend (30" total), with curved top. 3/8 inch diameter is the standard size for filling beer bottles. To rack from the top of a tank when wanting to aerate or avoid deep lees. Plastic gets brittle and brakes. I have broke so many canes. I have used this SS cane three times so far. I may never have to buy a racking cane again.